How can one not fall worshipfully before such magnificent albeit cute and cuddly disapproval? Ah, Zoe. I'm sorry, Zoe, but nothing subjective is going on here. We are not projecting a thing onto you. You ARE absolutely cute and cuddly. It's true, Zoe! 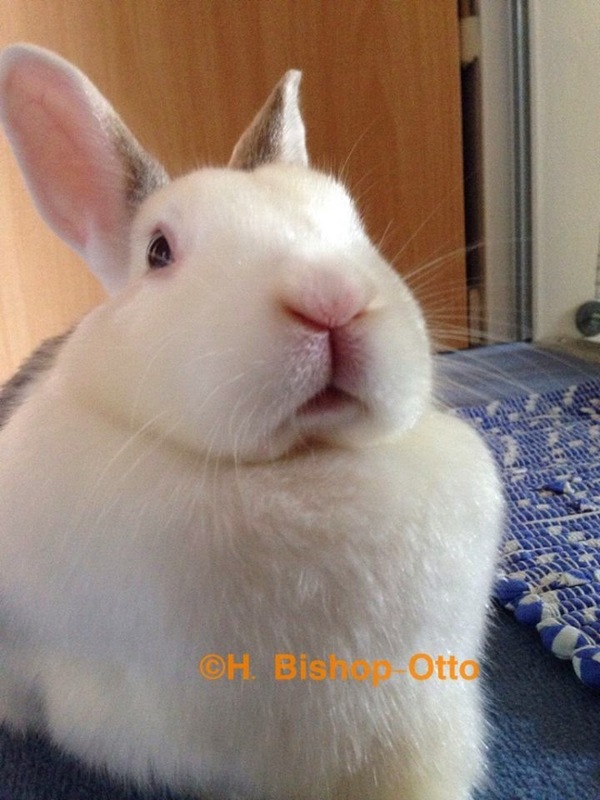 Your cute little Disapproving mouf and your lovely pink bunny-nosie need to be kissed because you're so beautiful and adorable and cute! I know this news will make you Disapprove even harder! I'm sorry! Too late, Zoe, you have reinforced our impression that you are cute and cuddly.